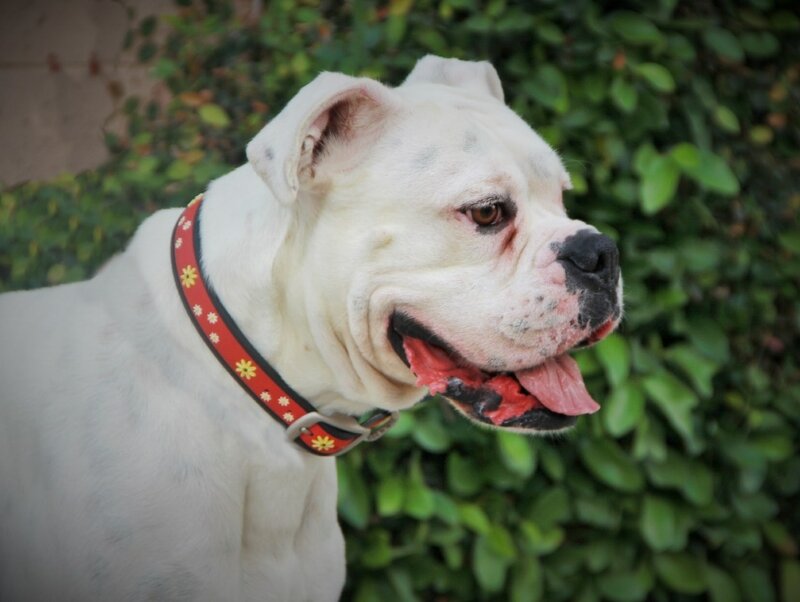 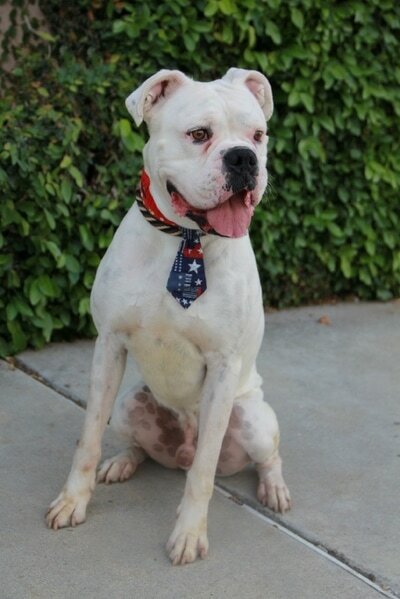 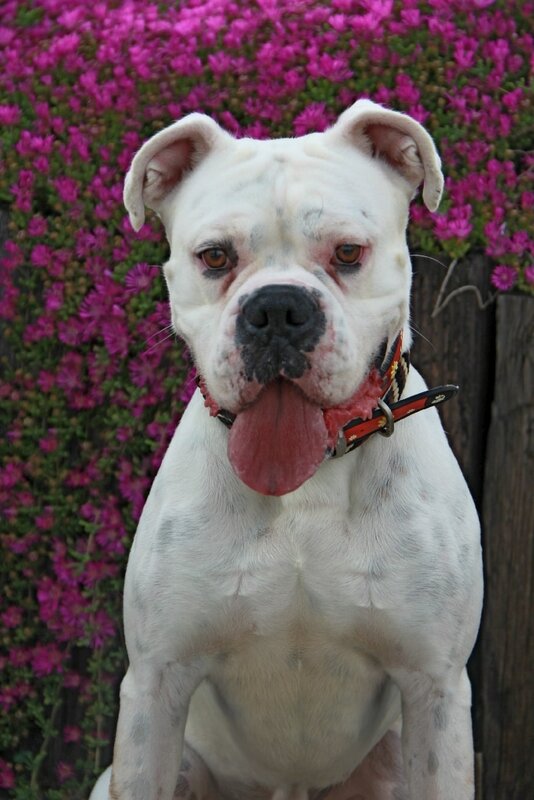 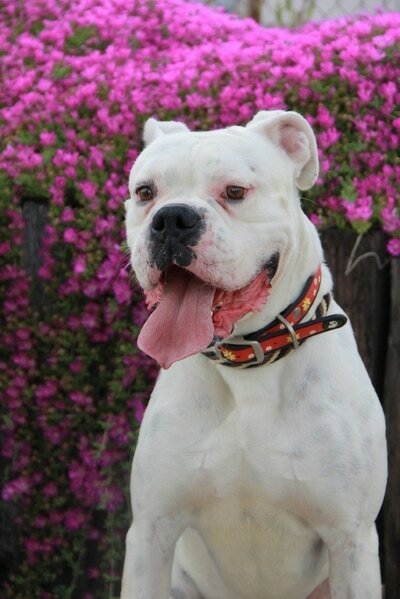 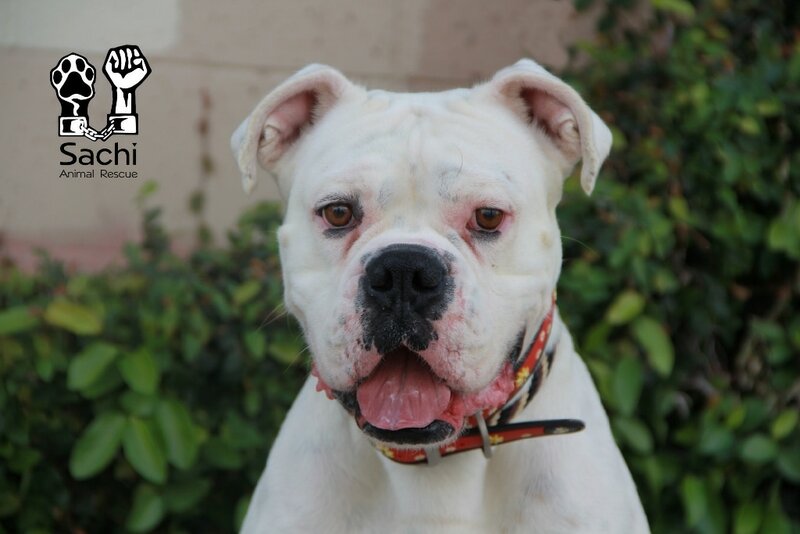 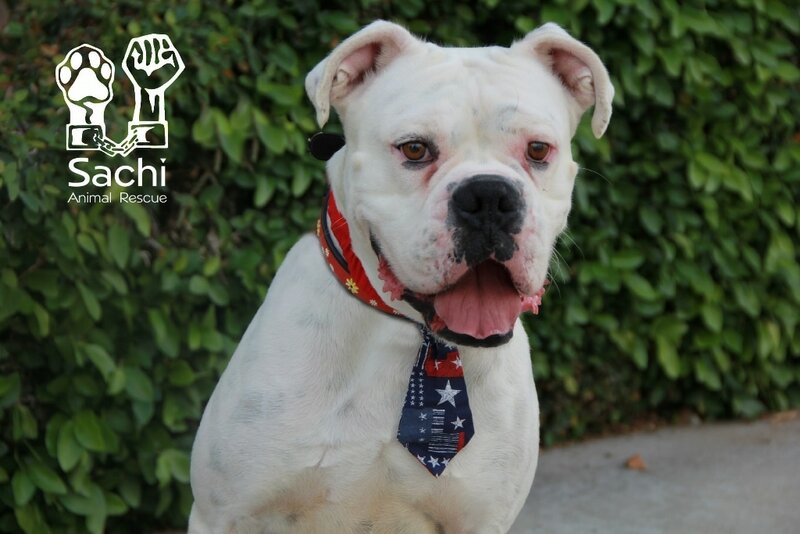 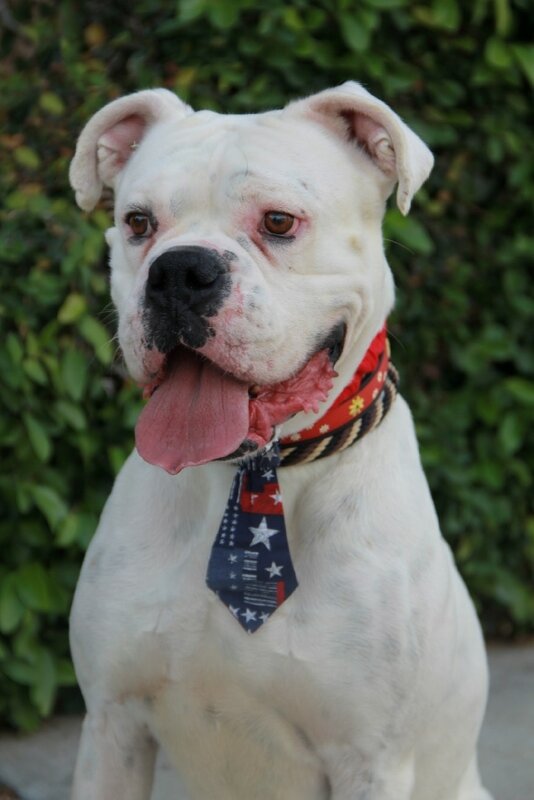 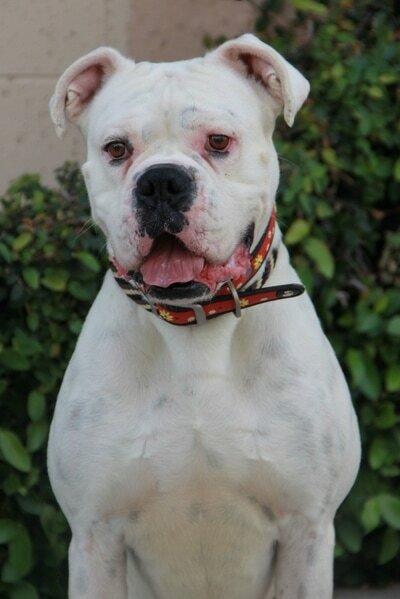 Jax is a big, handsome white Boxer. 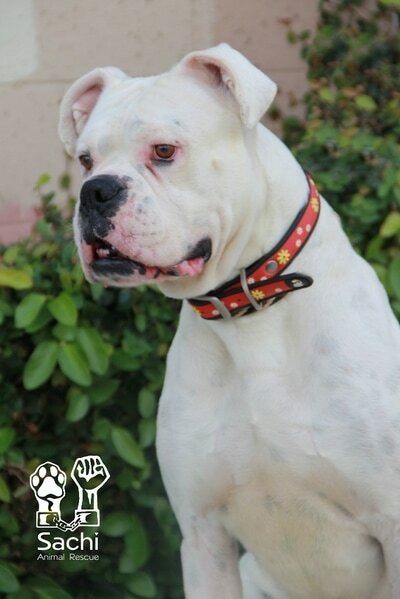 He loves his walks with his doggie buddies and has excellent leash manners. 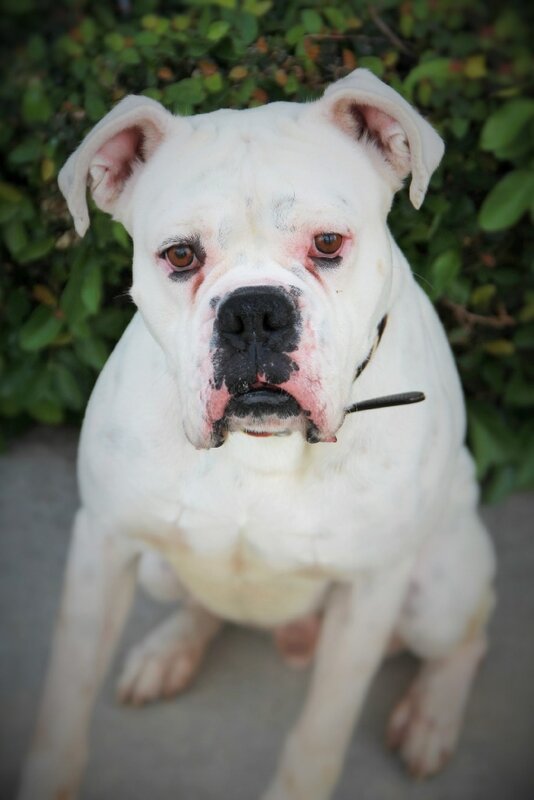 Once he knows you he's an affectionate fellow. 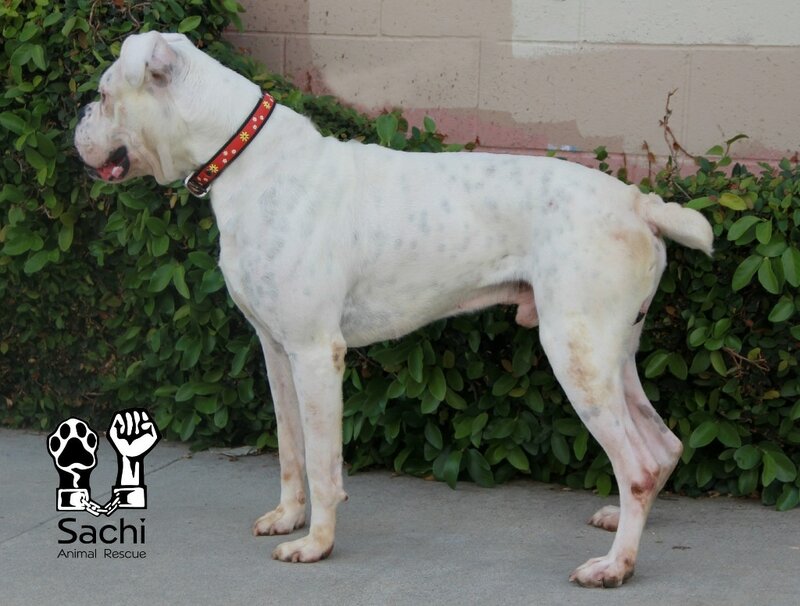 Like many rescue dogs, he needs more socialization with people. 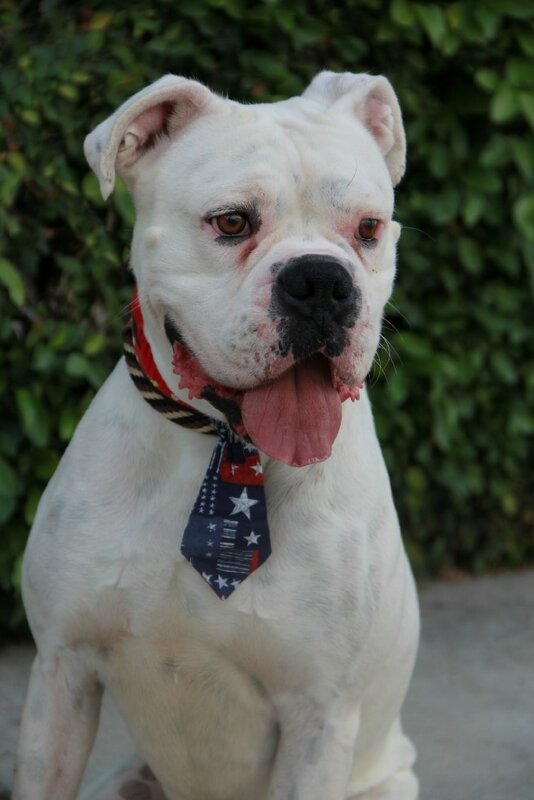 If you have the time and patience to help turn this overgrown pup into a model canine citizen you would make Jax one happy boy.